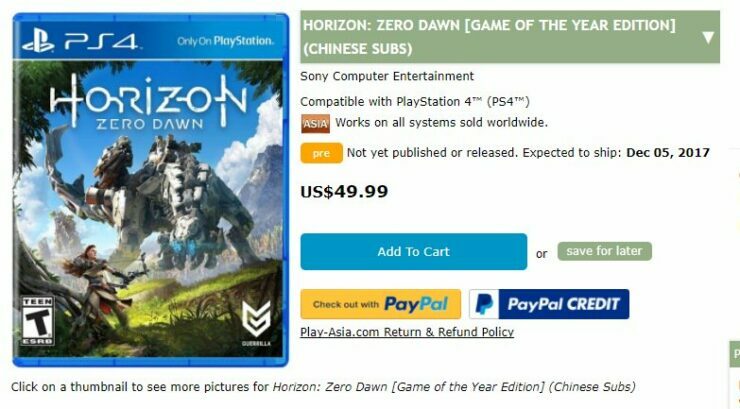 The Horizon Zero Dawn GOTY Edition has been listed by a major Asian retailer. 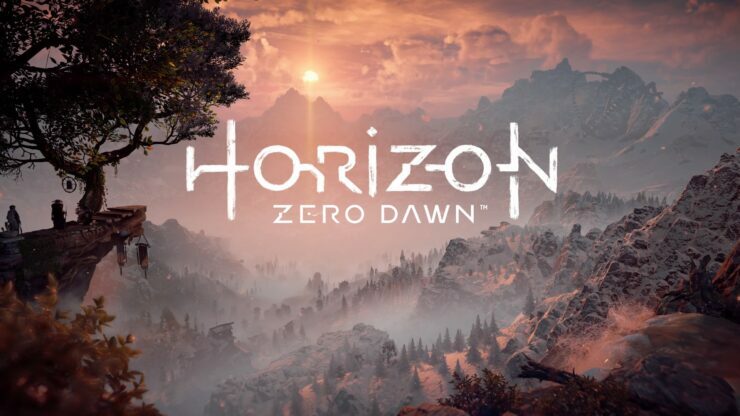 If retailer Play Asia is to be believed, Sony and Guerrilla Games will release a Horizon Zero Dawn Game of the Year Edition later this year. While the listing has now been removed and purged from Cache, Twitter user Wario64 screenshotted the Play Asia listing. The GOTY edition appears to be slated for a release on December 5th for $49.99, and should contain all previous updates and the upcoming Frozen Wilds expansion which is slated for a release next month on November 7. Sony hasn’t revealed any details about a GOTY edition so take the information above with a grain of salt for now. Horizon Zero Dawn from Dutch developer Guerrilla Games was released back in February this year. The action-RPG managed to sell through 2.6 million copies within two weeks. The Frozen Wilds expansion will release on November 7.